Please select the approval email address from the list. 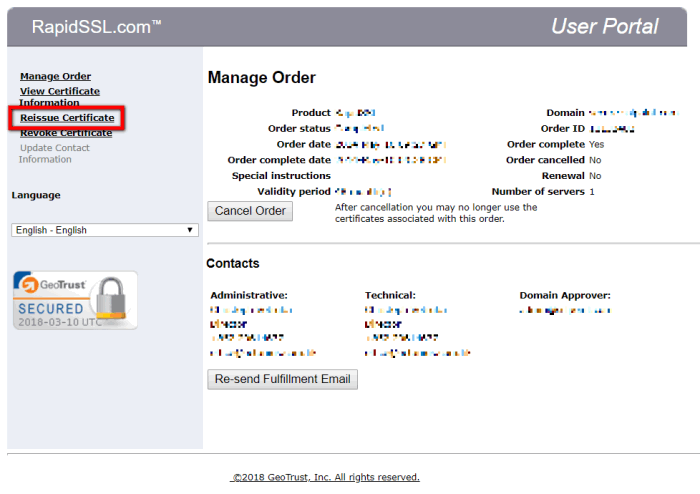 DigiCert will send the validation email to this email address – this email address must be active. Please insert your CSR in the form field. You can create a new CSR or re-use the CSR of your original order. The Common Name must exactly match the Common Name of your original order. 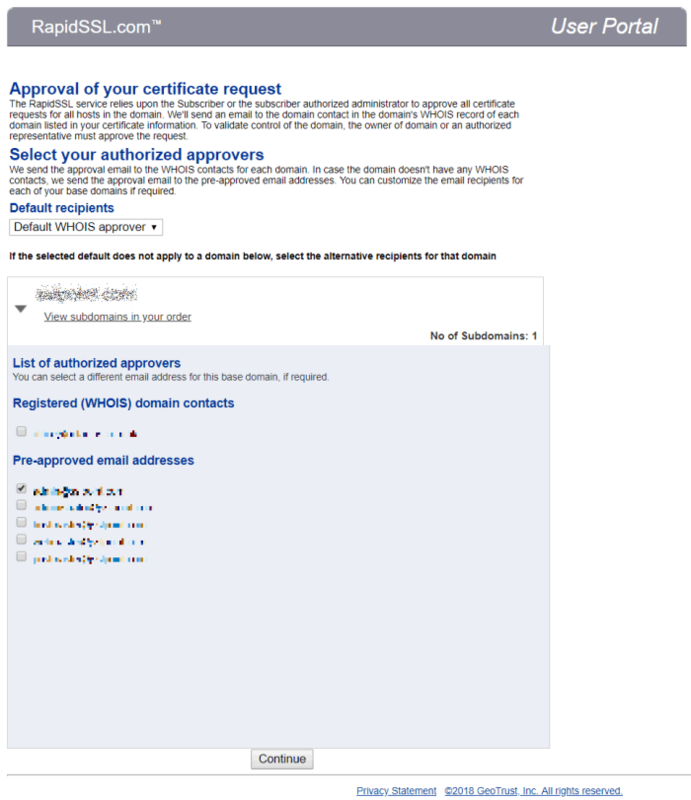 After submitting the CSR, the Certificate Authority will send you the validation email. Kindly note that Organization Validation (OV) and Extended Validaton (EV) may require additional verification steps. To protect your site you need to replace the original certificate with the reissued certificate on your server.